San Ramon emergency plumbers at Evenflow Plumbing of San Ramon, California have over 20 years of emergency plumbing experience. If you are currently experiencing a plumbing emergency in San Ramon, California Evenflow Plumbing may be able to you solve your plumbing problem. We provide residents in San Ramon with 24 hour emergency plumbing service. We do not charge extra for travel time and we try to get to your door as quickly as possible to minimize your plumbing problems. If you are in San Ramon or surrounding areas and you are experiencing a plumbing emergency please give Evenflow Plumbing of San Ramon a call now. A pipe burst or leaking pipe needs to be repaired immediately to avoid further property damage. San Ramon emergency plumbing service by Evenflow Plumbing of San Ramon is often needed when the timing is not exactly ideal. 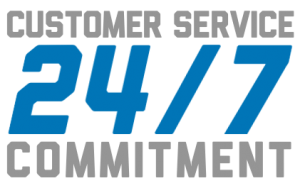 That is why we provide full service plumbing and repair 24 hours a day 7 days a week including all weekends and holidays. We understand that hot water and working drains are important to us all and that even a day or two without them is a major inconvenience. If you are currently experiencing a plumbing emergency please call Evenflow Plumbing for fast emergency plumbing service in San Ramon and surrounding areas.